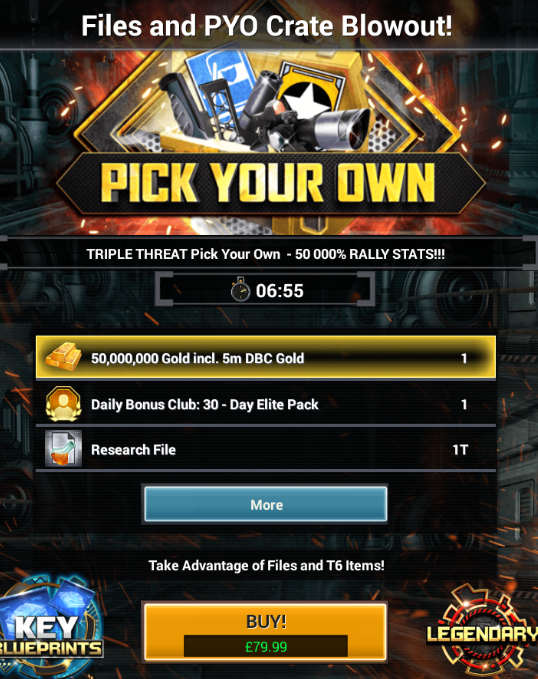 A new Pick Your Own Crate has been released by Mobile Strike developers recently. Which item do I choose? Here’s the million dollar question everybody is wondering. The answer depends on your play style- rallies, trap or solo attacker. If you are a rally leader, hitting the control point often, then it looks like your best bet is the Control Point Insignia II. The additional boosts awarded to your troops will be invaluable in dominating your state. If you are a trap player, who takes hits at your base generally, the second choice will complement your play- Fortify Master Insignia. The boost for troop defence and health is quite low, so don’t count on this insignia turning your troops invincible with it active. 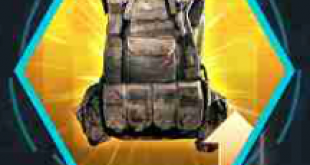 However, every little extra helps, and having this insignia active while taking hits will reduce your casualties. Please note for the Insignia’s you should remember that only a maximum of three can be active at a time, so you may think these aren’t worthy of replacing a current favourite. 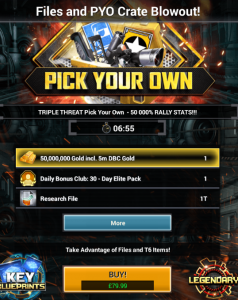 If you are a solo attacker, do not fear… The Pick Your Own Crate offers the Titanium Frame Augments which will simply supercharge your solo attacks. 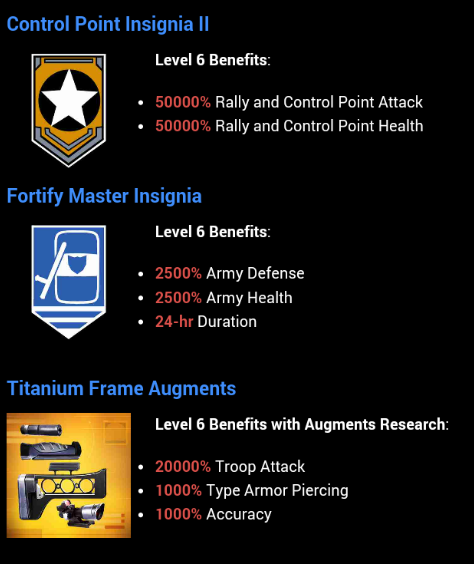 The troop attack boost is highly significant as it is, but you also get piercing and accuracy boosts, making it even better. This is a must have if you like to take on your enemies one-on-one! Please note, you can only have one set of augments on your weapon of choice at a time. This means you’ll have to decide between this one, or a previous one.